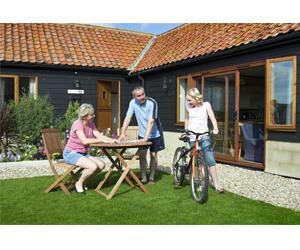 Self Catering and B&B accommodation throughout Norfolk. All quality graded offering a high level of comfort. Spacious farmhouses, cosy cottages and fabulous barn conversions. Ideal for holidays and short breaks for couples and families of all sizes. Great also for families wishing to holiday together. Some farms will allow dogs by arrangement, and a few can offer stabling and a field for horse holidays. Click on the web site to check for availability by location and or date.